Our experience in hosteling makes your stay perfect. Enter Privates is a SMALL, INTIMATE DOWNTOWN HOSTEL opened in 2005. As our name indicates we have only PRIVATE ROOMS, which is ideal if you are a couple, you travel alone or with a good friend. 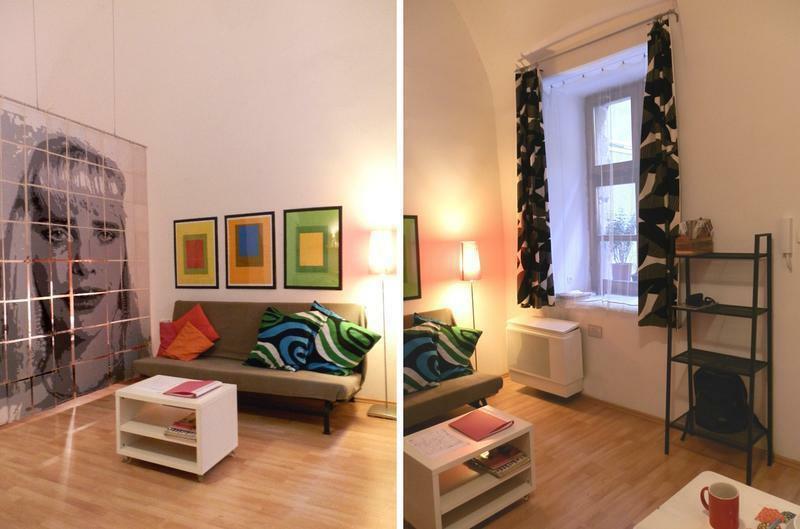 Our Double Private Ensuite is a separate apartment 5 minute walk from the Hostel in the very center of the City. The hostel is NOT a party place. We try to ensure a relaxing atmosphere, and make it a PEACEFUL ISLAND in the middle of a vibrant city. We are so centrally located that most of the sights are just within walking distance: Opera House, Heroes' Square, St. Stephan Basilica, Great Jewish Synagogue and even the Castle district. Our building belongs to the UNESCO World Heritage. Maps, flyers, program guides and local papers in several languages are available for FREE. Also major guide book labels are at your disposal. If you are interested in arts just ask our colleagues who are up-to-date experts in theatre, dance, music and visual arts. You can join them at exhibition openings and other events. Furthermore there is always a chance to meet and talk with local or international artists at the hostel. If you are searching for a nice place to have dinner, a glass of wine, a beer or just a cup of coffee WE KNOW WHERE TO GO. - In case no show up within 'indicated arrival time+2 hours', the hostel has the right to cancel the reservation and sell the room, unless the guest informs the hostel about the delay in advance. - It is a non-smoking hostel. 1. AIRPORT SHUTTLE BUS you can order at the Minibus Desk on Arrival. Price 2.990 Forint/person. You can buy a return ticket for 4.990 Forint/person. (4.490 Ft/2 person, 8.490 Ft/2 person retour). The bus brings you to the hostel. 2.PUBLIC TRANSPORTATION: Take the Airport (blue) bus in front of the Terminal which takes you to 'Kbnya-Kispest' metro station. Here take the blue metro line to 'Dek tr', change for the yellow line to 'Oktogon'. We are 1 minute from the station. You have to buy 2 single tickets from the ticket vending machine at the airport bus stop. (320 Ft/ticket) You have to validate one ticket for the bus and one for the metro. 3. FOTAXI is the official taxi company of the airport. Fix price to our district: 5.100 Ft (21EUR) /car. Credit card is accepted. Take Metro2 to Deak sq and change for Metro1 to Oktogon. Take the red metro line to 'Dek tr', then change for the yellow metro line to 'Oktogon'. We are 1 block from the station. 1. Public transportation: Take the tram no.4 or no.6 to 'Oktogon' (1 stop). We are 1 block from the stop. You have to buy 1 single ticket from the ticket vending machine, box office or tabacs at the railway station. (320 Ft/ticket). 2. Or you can also walk down to Aradi st. (10 minutes). Take the blue metro to Deak Ferenc ter, change for the Yellow line to Oktogon.